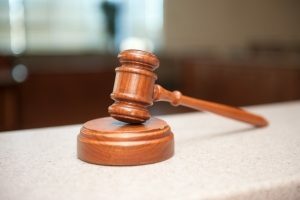 A federal judge in San Francisco has blocked the prosecution of two marijuana growers in Northern California, citing a Congressional prohibition on the Justice Department interfering with medical marijuana laws of the states. In 2014, the two defendants pleaded guilty to marijuana possession and cultivation on Humboldt County farm. Each were facing down the possibility of a three-year prison term, per federal sentencing guidelines. However, a U.S. District Judge has suspended any further proceedings in the case, stating prosecutors were prohibited by Congressional restrictions imposed three years ago – and has renewed every year thereafter. The restrictions were implemented as part of an amendment that was sponsored by two California representatives – one a Republican, one a Democrat. The rule does not allow the U.S. Justice Department to spend money in a way that would interfere with any state’s medical marijuana laws. In 2016, the U.S. Court of Appeals for the Ninth Circuit ruled in U.S. v. McIntosh issued a ruling that prohibited any federal prosecution of individuals who are in compliance with medical marijuana law in a given state – even though federal statute prohibits use or possession of the drug, which it considers a Schedule I narcotic. Evidence presented in the case revealed the two defendants were in strict compliance with all relevant provisions of California’s medical marijuana statute. Both defendants have been out on bail since they entered a plea, and it’s expected they will withdraw their plea. Other defendants arrested for marijuana crimes have similarly tried to challenge their prosecution following the appellate panel’s ruling, but until now, had been unsuccessful. Further, the win could be temporary if Congress decides to allow the amendment to expire. That seems a real possibility, given that U.S. Attorney General Jeff Sessions has advocated for lifting the Congressional budget restrictions in the budget next fiscal year, which starts in October. At that point, prosecutors could re-open the case, as the statute of limitations has not yet expired. However, the Congressional budget amendment does share bipartisan support in both houses of Congress, and it’s already passed its first subcommittee for next fiscal year. If it’s renewed, prosecutors wouldn’t be able to pursue their case until October 2018, at the earliest. The two defendants were arrested back in 2012. State officers said they conducted a search warrant, finding nearly 330 marijuana plants, two loaded guns and more than $415,000 in cash. A number of searches over the following year uncovered a number of additional firearms and more cash, gold and silver. Evidence presented by defendants showed they were growing the marijuana for nearby marijuana nonprofit collectives. They were simply reimbursed for their costs. Additionally, one of the defendants was a designated caregiver for his mother, who had a doctor’s recommendation to use the drug. Health and Safety Code 11362.5, California’s Compassionate Use Act, protects both users of medical marijuana and their primary caregivers from prosecution for possession and cultivation of marijuana and production of cannabis concentrates. Caregivers under the statute must be caring for a person legally entitled to use the drug for medicinal purposes and who meets the legal definition of a primary caregiver under the Compassionate Use Act.